Thailand is truly blessed when it comes to beaches. 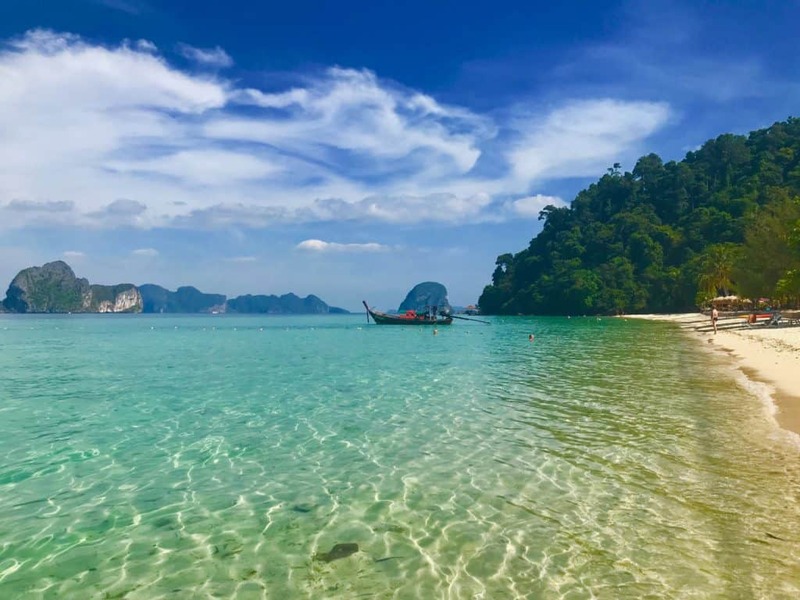 There are thousands of beautiful beaches strung out along the mainland coast and the myriad of islands that dot the Andaman Sea and the Gulf of Thailand. These are not just any old beaches either, many of them justifiably rank among the most beautiful in the world. The only problem is that are so many to choose from that it can be a bit overwhelming knowing where to start. 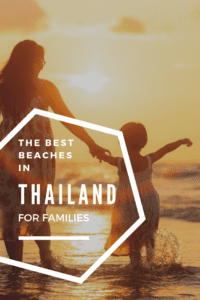 To help point you in the right direction we have put together this guide to the best beaches in Thailand for families. We think that there is something on this list to suit everyone and hope that it will assist you in your travel planning. 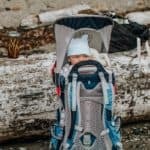 Travelling with a young kids? The first decision is whether you plan to visit the Andaman coast or the Gulf of Thailand. There are great places to visit in both areas but the timing of your visit could play a part in this decision as the weather patterns do vary between the two. 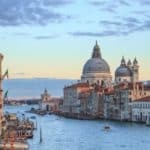 You can’t go wrong with January or February for any of these destinations but outside of this, you may want to check which is the best time to visit. Most people arrive in Thailand via the international airport at Bangkok. 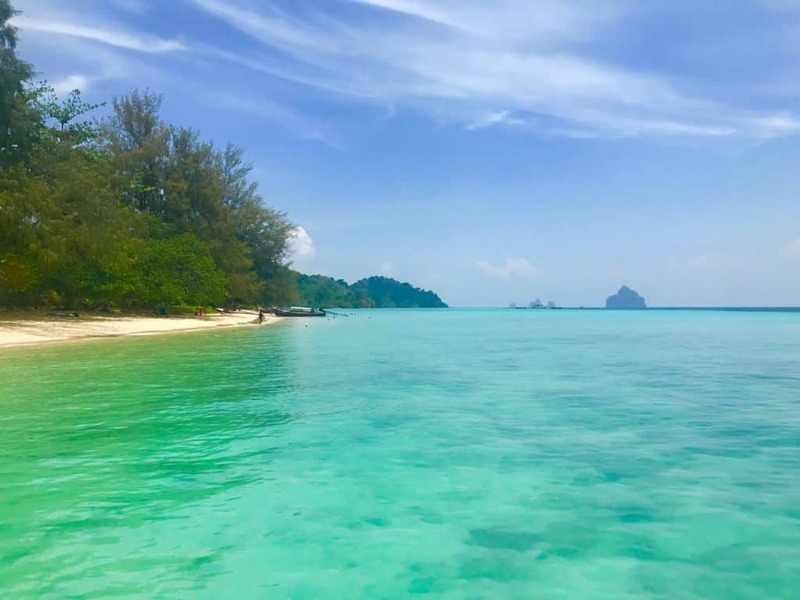 From here it is quite a journey to get to any of the beaches that feature in the list, you can take internal flights to Ko Chang, Krabi, Phuket, Trang or Ko Samui, and travel on from there, or do the whole journey by train, bus, ferry. If you are coming to Thailand just for the beaches and islands it may be worth looking at other flight options and avoiding Bangkok altogether. Bangkok is a great city but the jury is out over whether or not it is a good one to visit with kids. The traffic, pollution and hectic nature of the city may put you off but a lot will depend on your interests, the age of your kids, and how long you have to travel. We were able to fly straight from the UK to Phuket International airport with a change in Doha. This worked out quicker and cheaper than going via Bangkok and meant that we were able to stay by the beach from the first day of our trip. 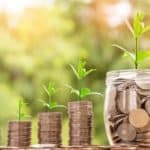 The best way to find cheap flights is to use Skyscanner which will quickly compare all options for available airlines with details on overall cost, time, connections etc so that you can make the best decision for your family. 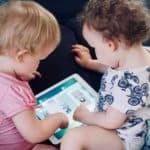 If you are looking for ideas of things to take with you, check out these great travel gifts for kids. The Andaman coast is truly spectacular. Limestone cliffs rise impressively straight out of the warm azure seas to create the perfect backdrop for a beach holiday. There are so many islands in this region, many with great beaches and spectacular karst scenery, it is the perfect place to do a bit of island hopping. Koh Ngai is our absolute favourite place in Thailand. It is just stunningly beautiful and a perfect beach for families. It doesn’t seem to be as well-known as a lot of other beaches in Thailand (I know, there are a lot!) but for us, it has everything you could wish for; incredible views, warm, calm and shallow water and soft white sand. I think that it is one of the most beautiful places that I have visited, as soon as I saw a photo of the view from the beach I knew we just had to go there. It is a very small island and the rugged interior remains jungle clad. Hornbills swoop overhead while colourful fish dart among the coral reefs just offshore. The island is a perfect place for snorkelling straight from the beach and is great for kayaking in the calm seas. One of the great features, especially if you have very young children, is that it has natural shade throughout the day. As the main beach faces east you won’t have the sunsets that you can enjoy elsewhere but you will have the benefit of the sun moving behind you throughout the day creating lots of natural shade. The heat in Thailand was one of our big concerns travelling with a 9-month-old baby and this is one of the reasons that we loved this beach so much. When we were on Koh Lanta we had to retreat into the shade of a restaurant or the air-con of our room as there was no shade on the beach and the afternoon sun was just too intense. Here on Koh Ngai we were able to stay out throughout the day in the shade of the trees. There is one main beach on the island that stretches in a sandy arc for 2 km This is lined with a string of hotels that all offer accommodation right on the beach, they are all pretty low key and set back enough that the natural beauty of the beach has not been spoilt. 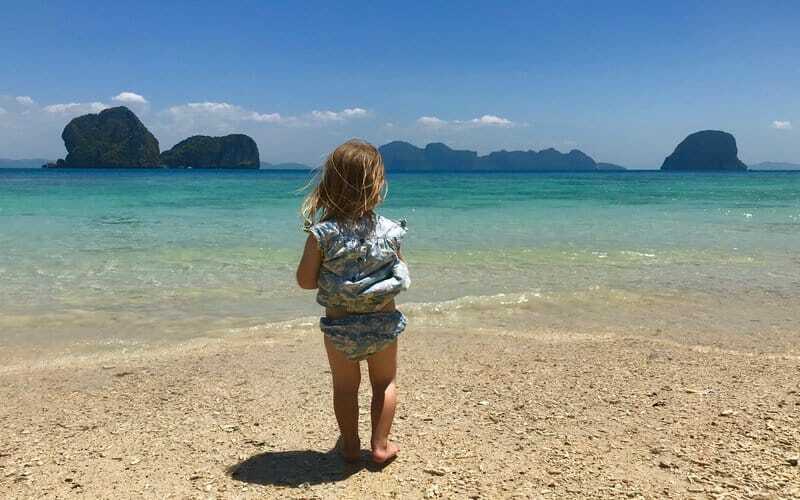 Our favourite place to stay on Koh Ngai is Koh Hai Fantasy Resort and Spa we think that it is probably the best place to stay on Koh Ngai for families. Koh Hai Fantasy Resort is especially good if you are travelling with babies and toddlers since kids under 4 can stay for free and they even do free kids food for under 3’s. We think this hotel offers a great value option that sits on one of the nicest parts of the beach where the sea is cordoned off for safe swimming. The breakfast buffet is fantastic and keeps us going all day! Check Prices for Koh Hai Fantasy Resort at Booking.com or Agoda. If you are looking for slightly more upscale family accommodation then the Thanya Resort next door is another good option. 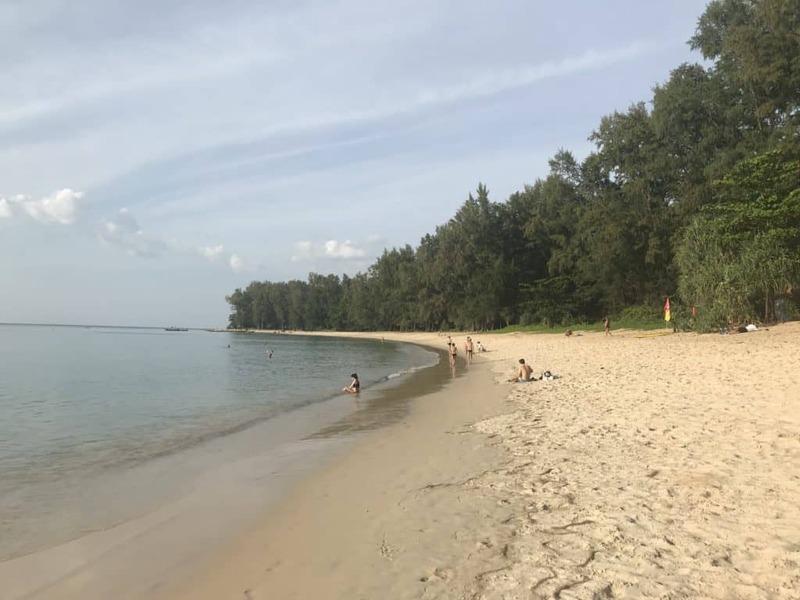 Situated in the Sirinat National Park this is a nice beach that makes the list partly due to its location right by the international airport on Phuket. It is a perfect place to unwind with your family after a long flight and will give you your first taste of life on a Thai beach. The beach is wide with soft sands and the sea is inviting. We saw one of the most spectacular sunsets of our whole trip whilst eating dinner at a beachfront restaurant. Nai Yang a fairly low key town but has a plentiful supply of restaurants, street food and travel services to get you on your way to more adventures. Slightly further south is Bangtao Beach which we didn’t enjoy quite so much but is a lovely big beach that offers a range of water sports that would prove popular if you have older children. 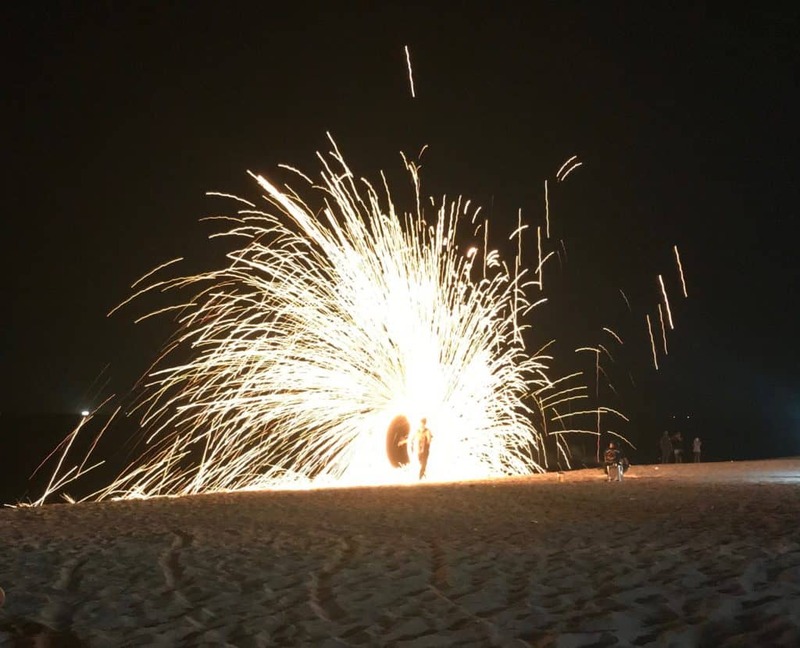 Bangtao is livelier than most of the beaches that have made this list but remains family friendly and is a far better option than places like Patong Beach should you be planning a vacation to Phuket. Koh Lanta is a great place to visit and is a very family friendly destination. The island is known for its relaxed atmosphere, sandy beaches, mangroves, and rainforests. 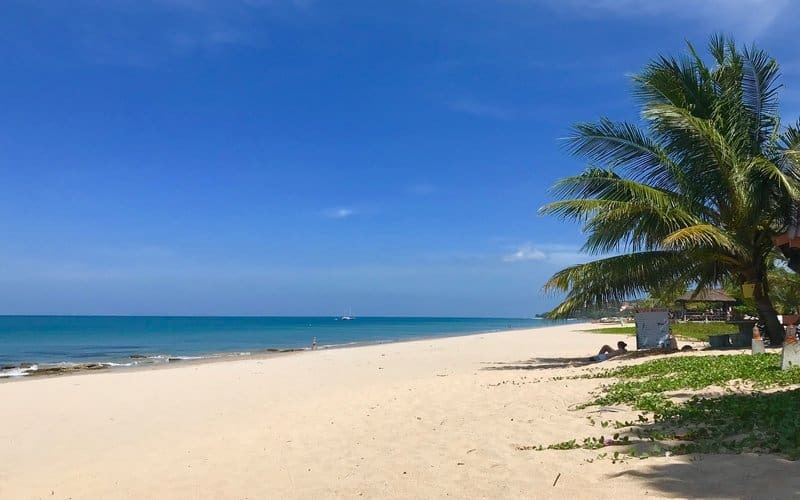 Just ahead of Klong Nin as our favourite beach on Koh Lanta, we feel that Phrae Ae beach (Long Beach) has the best mix for families with a wide sanding beach, some natural shade in the morning, shallow seas and a good choice of family-friendly places to eat. For meals, we found it hard to get past the Thai Cat Restaurant as our daughter was drawn in by the big pile of toy and inflatables lined up on the beach and the knowledge that there was a playground behind. 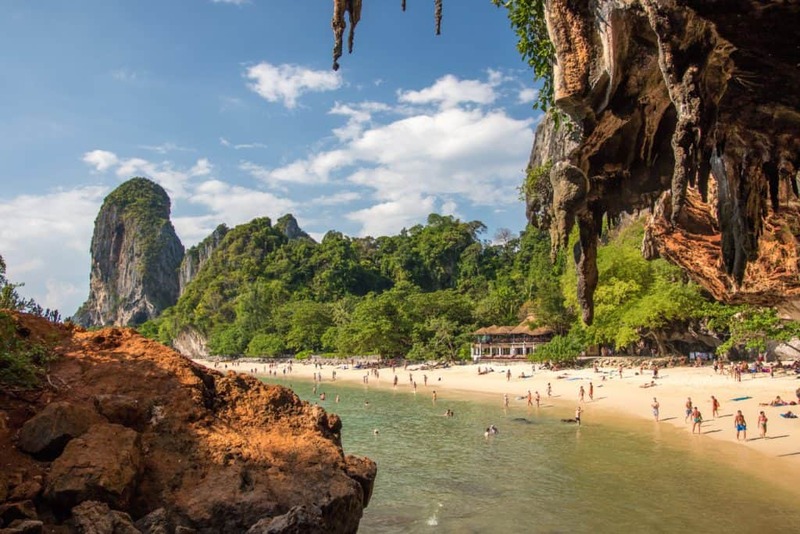 On the western coast of mainland Thailand and flanked by spectacular limestone cliffs, Railay Beach is one of the most photographed beaches in Thailand. The enormous cliffs make it popular with rock climbers as well as your typical beachgoers. 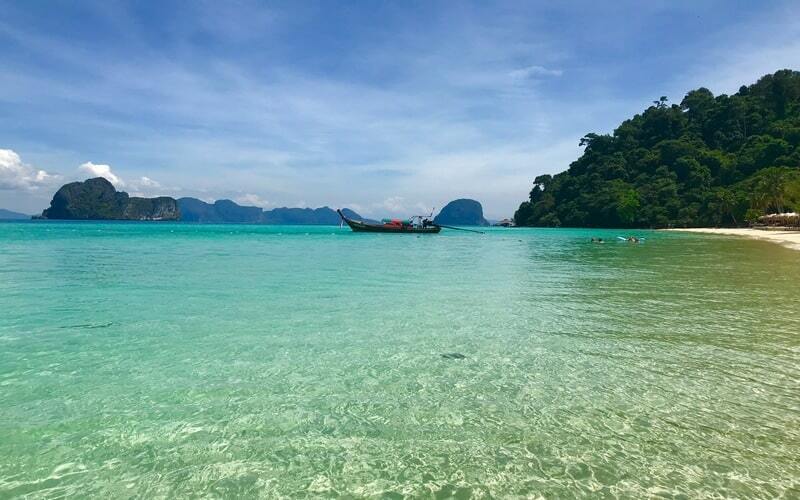 Although part of the mainland, the beach is situated on a peninsula of the Krabi coast that is only accessible by boat, this gives it the feel of an island and also means that there are always longtail boats on hand to take your classic Thai beach photo. The wide sandy beach will delight your little ones and there is a good choice of family-friendly accommodation and restaurants. If you are after a little luxury then Rayavadee Resort is the place to stay, the spectacularly located pool is a real highlight. Charlie’s Beach (Farang Beach) beach on Koh Muk (or Mook) is a wonderful wide sandy beach flanked by rocky outcrops with views out to Ko Kradan across the seas. The beach itself is one of the nicest that we have visited and our little ones loved playing with the coconuts that had fallen on the beach and the rope swing that hangs from one of the trees. It is a big beach and had very few people on it when we visited in March, a tree swing provided hours of entertainment and capped off the deserted beach vibe. One of the Trang islands, Koh Muk offers quite a different experience to nearby Koh Ngai and Koh Kradan. 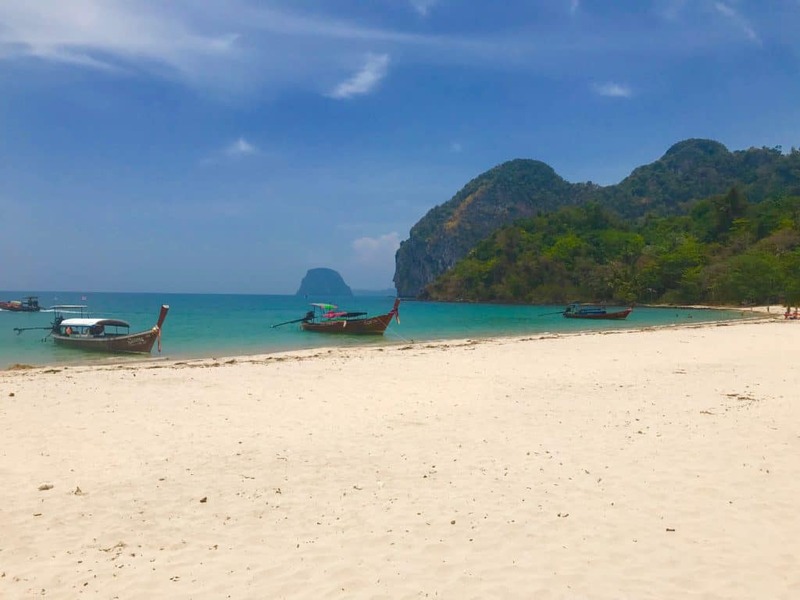 The island has a resident population and so has much more of a real feel to it than Koh Ngai, this has benefits in the form of great and inexpensive food, and the chance to interact with the friendly locals. It does also mean that it is less clean than some of the more touristy islands with the disposal of rubbish a constant problem on remote islands such as this. Behind the beach, there used to be a hotel called Charlie’s Beach Resort that has given the beach its name. This has recently been closed down by the Thai military for infringing on the protected land of the national park. This gives the beach a quiet and somewhat abandoned feel but there are still a few restaurants and bungalows along the beachfront. Ultimately this action should help to restore the natural beauty of this spot (the existing bungalows are small and do not greatly impact upon the experience), or maybe someone backed by the government will come in and build something new. We didn’t have much luck with accommodation on the island but if we stayed again we would head for the Mook Lamai Resort and Spa, which we looked at and it seemed really nice, be sure to book in advance. Another of the Trang islands, Koh Kradan often gets voted as the most beautiful of the lot. It is in a protected area and boasts good marine life in the reef just of the shore. It has become popular with day-trippers that come to snorkel in the aquamarine waters offshore, this I generally between 10 and 4. Outside of these times, the island is quiet with relatively few resorts that offer a peaceful ambience. The long, narrow beach was voted the ninth best in the world by the Guardian and has perfect white powdery sand and long views over to the other Trang islands. At low tide, the northern end of the beach is great for kids to explore on the exposed sandbars and shallow seas which allow you to wander far out from the beach. The warm, shallow seas of the Gulf of Thailand are bordered by Thailand, Cambodia and Vietnam. The Gulf is home to coral reefs, whales, turtles and some of the most picture postcard tropical islands you can imagine. The beaches that make our list are from islands in two distinct groups, Koh Samui and Koh Pha Nyang in the province of Surat Thani, Southern Thailand and Koh Chang and Koh Kood which are situated in Trat Province, Eastern Thailand. If you are looking for a stunning, unspoilt, tranquil destination then you could do a lot worse than include Koh Kood (also spelt Ko Kut) on your itinerary. Located in the Gulf of Thailand and a good 8-hour journey from Bangkok, Koh Kood is one of the most remote islands in Thailand and the beach we have chosen to include is one of the most remote on the island. From the sea there are few signs of development at Ao Phrao beach as the few hotels that there are, lie hidden among the trees, the beach remains magnificent in its near pristine environment. This is the place to come if you want to get away from it all. You will see few other tourists and even local fishermen are few and far between. The water is crystal clear but there is little marine life to see. The hotels here all provide kayaks so you can get out and about. The beach is great for playing with young children and they will enjoy the clear warm seas. Older children may enjoy the thrill of exploration that the area has to offer, but there is little in the way of organised entertainment. 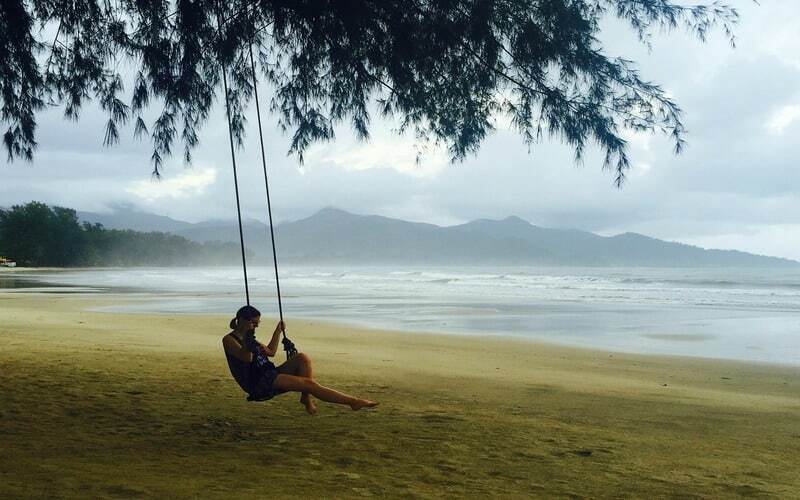 A few relaxed days on Koh Kood can easily be combined with the more action-packed Koh Chang. 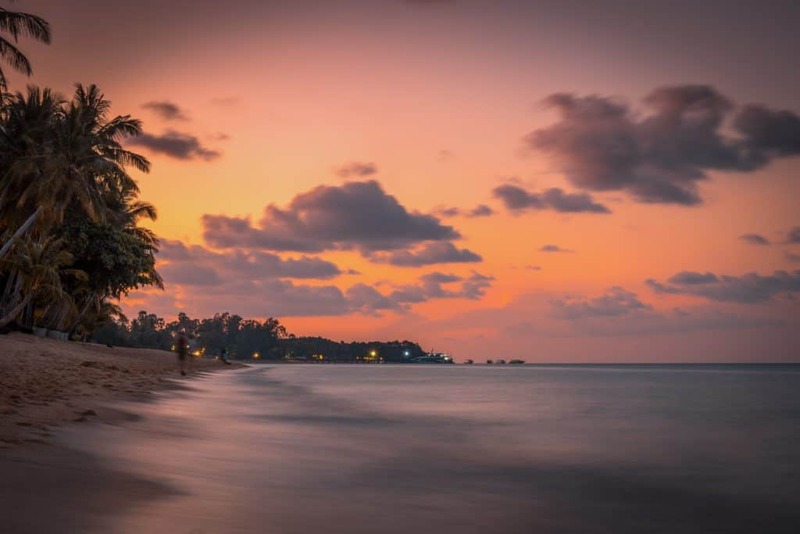 Koh Chang is one of the largest Thai islands in the Gulf of Thailand and is characterised by a steep jungle-clad interior surrounded by pearly white beaches. The Mu Koh Chang National Park, is a wonderful preserve with walking trails to pretty waterfalls, the park covers the interior and extends to offshore coral reefs. The island is a firm favourite with holiday makers and a good option for families that like an active holiday with things to do away from the beach. Our pick for Koh Chang’s best stretch of beach is Klong Prao Beach where you can enjoy the long expanse of fine white sand and calm, clear waters. You will find palm trees lining the beach that offer a shady place to put your towel and the relaxed feel to the beach makes this a perfect spot for families. From the beach, you can enjoy the walk to Klong Plu waterfall where you can enjoy a swim in the cool waters. It is a popular destination so get there early if you want the place (almost) to yourself. In the village, you will find the Klong Prao Temple where you may be lucky to experience one of the many festivals that take place throughout the year and your children may delight at the glimpse of an elephant from one of the nearby camps. In the south west of Koh Samui you will find the quiet, picturesque beach of Taling Ngam. This is a great beach for families, palm trees line the beach giving it a great jungley atmosphere and provide precious shade in the middle of the day. We love that the gradient of the beach allows young kids to wade out quite far before it gets too deep. The water is usually calm and a beautiful light blue colour and you have stunning views of the Anthong Marine National park. A busy and popular island, Koh Samui has changed a lot in recent years and has experienced a lot of rapid development. Nevertheless, Taling Ngam remains a sight to be seen and is a great place to spend some time on the beach with your family. 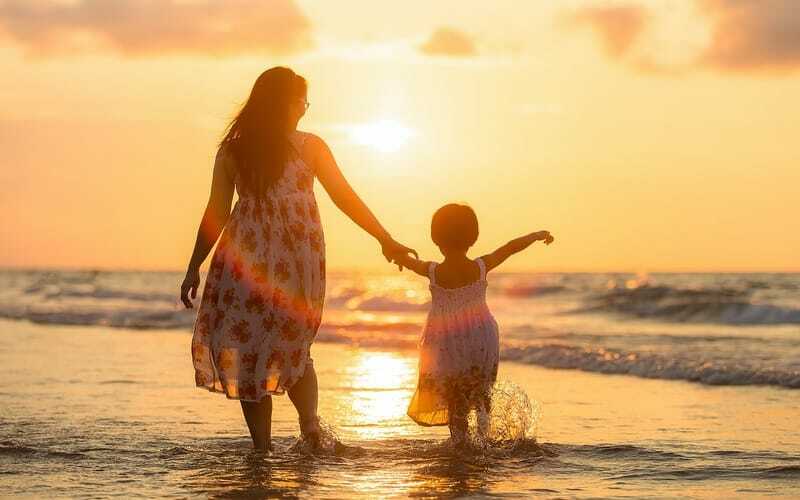 In addition to the usual beach and water-based activities, older children will enjoy the array of activities that are on offer on the island such as water parks, zip wires, go-karts and all sorts of other options to keep them entertained. 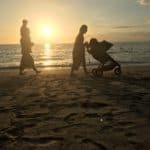 Although famous for its full moon parties and lodged in my memory for a nasty bout of food poisoning, Koh Phangan should not be dismissed as a family beach destination. Away from the party town at Haad Rin you will find beautiful beaches and warm, calm seas. The island is more rugged and less developed than nearby Koh Samui and accommodation is less expensive making it popular with visitors planning longer stays. You won’t find the luxury chain hotels of Koh Samui but you will be able to enjoy a simple and relaxing break more akin to how Koh Samui was in the past. Haad Salad is a beautiful spot on the north west of the island and is popular with families. It is a sheltered white sandy bay flanked by green cliffs and views of sunsets over the horizon. It is a shallow bay perfect for little ones and further out you can snorkel over colourful coral. It is a low key resort with a handful of hotels and restaurants strung out along the beachfront. Despite being at the opposite end of the island to the Haad Rin party town be sure to book in advance if your stay coincides with a full moon, and you can expect to pay a little more at this time. 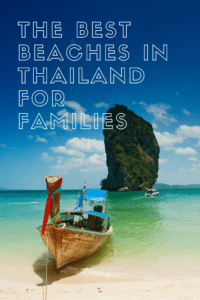 Thank you for reading our summary of the best beaches in Thailand for families. 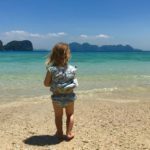 There are so many beaches to choose from in Thailand and many of these are very family friendly so we haven’t been able to include them all. Do you have a favourite beach that you think should be on our list? Or do you have any questions about planning a trip to Thailand with kids? Please let us know in the comments below. These pictures are breathtaking. I had no idea that Thailand was such a beautiful country. 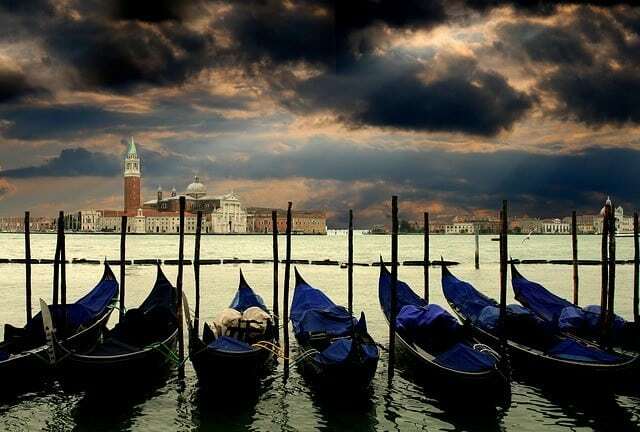 My wife and I love to travel and visiting new places is something we do enjoy. It helps to have a great review like this that lets us focus our search so we can experience the best places a new country has to offer! Thank you, Thailand is incredibly beautiful with so many great beaches to explore (not to mention the myriad cultural attraction to be found). I hope we have inspired your next trip! The pictures you have are beautiful! I would have to go to the Ko Ngai beach….I am a redhead, so shade is really important to me, even though I love the beach! I want to begin traveling to more places that are still in their natural and unspoiled form, and Thailand looks like it would be amazing. I will keep it on my list. Thank you! Yes, Koh Ngai is amazing. I hope we make it back there one day! I really do recommend Thailand as a beach holiday destination. 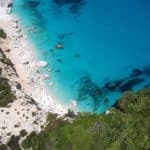 There are so many great beaches to choose from, I hope this post has given you some inspiration!